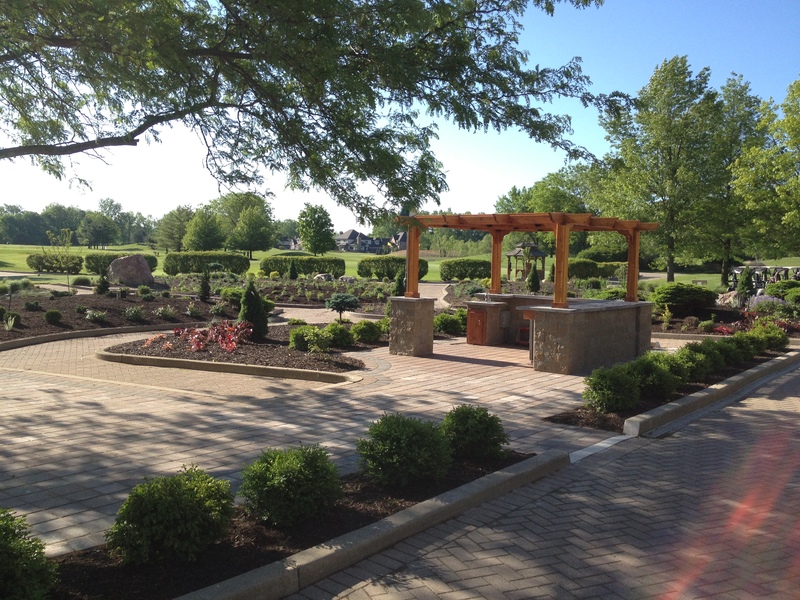 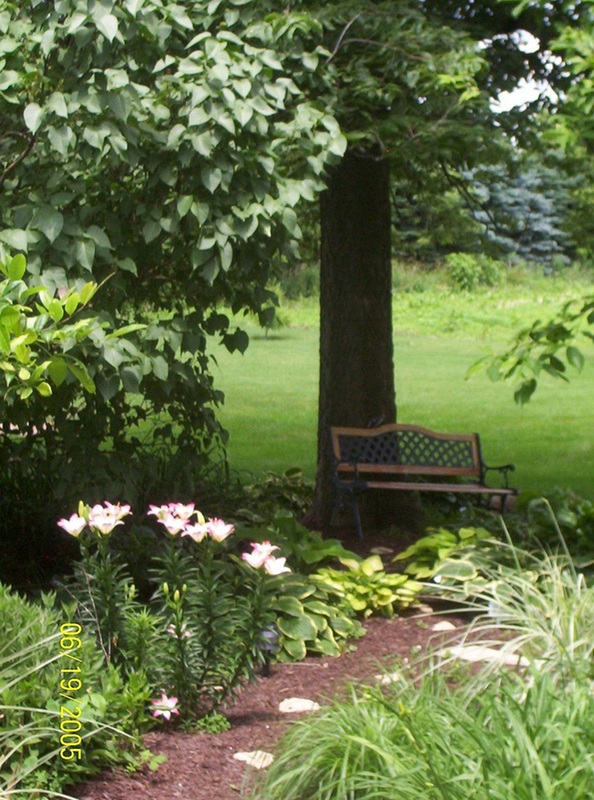 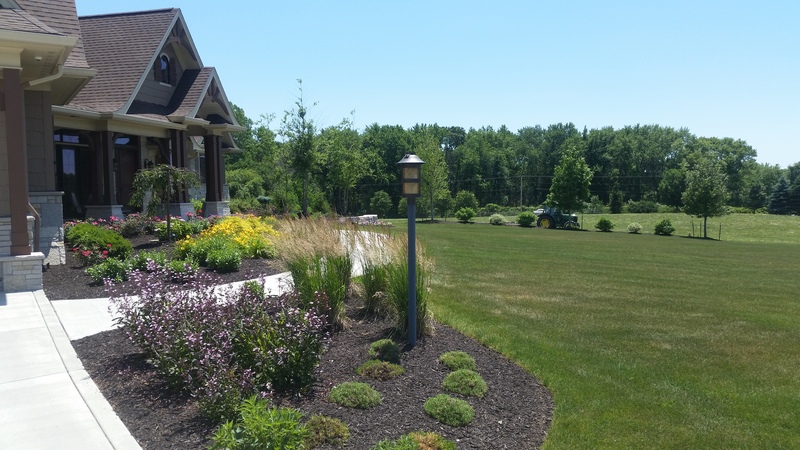 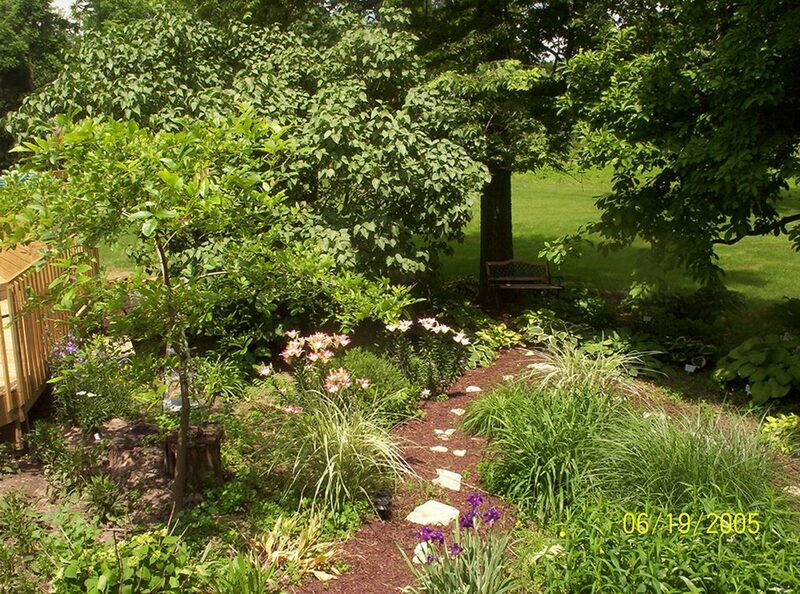 Serving both residential and commercial customers in all aspects of landscape installation, maintenance and upgrades. 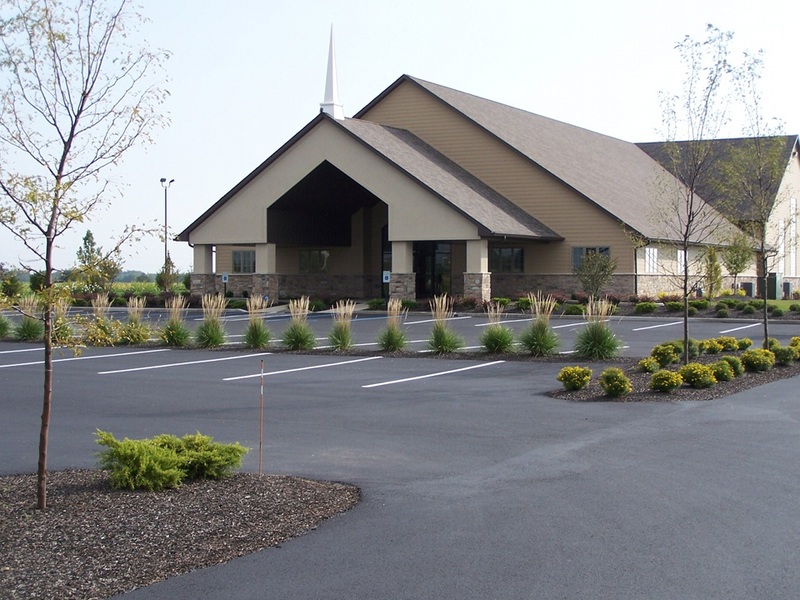 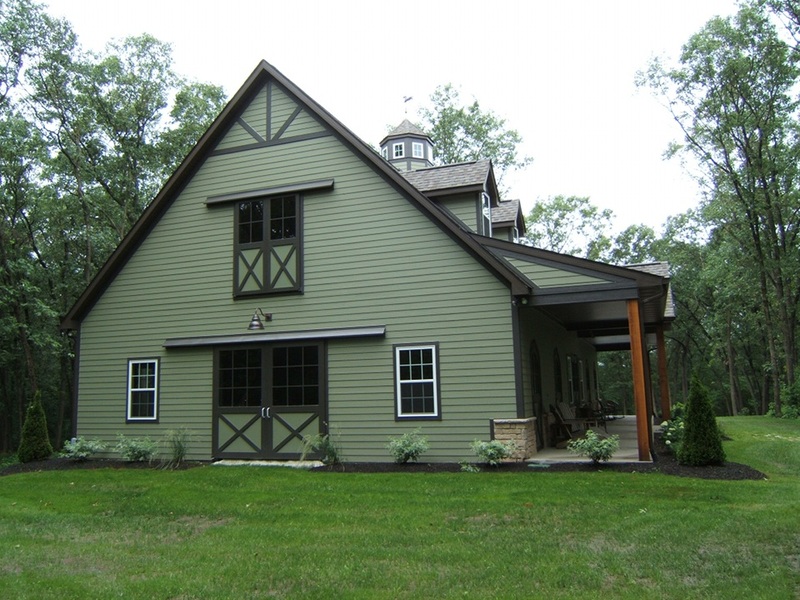 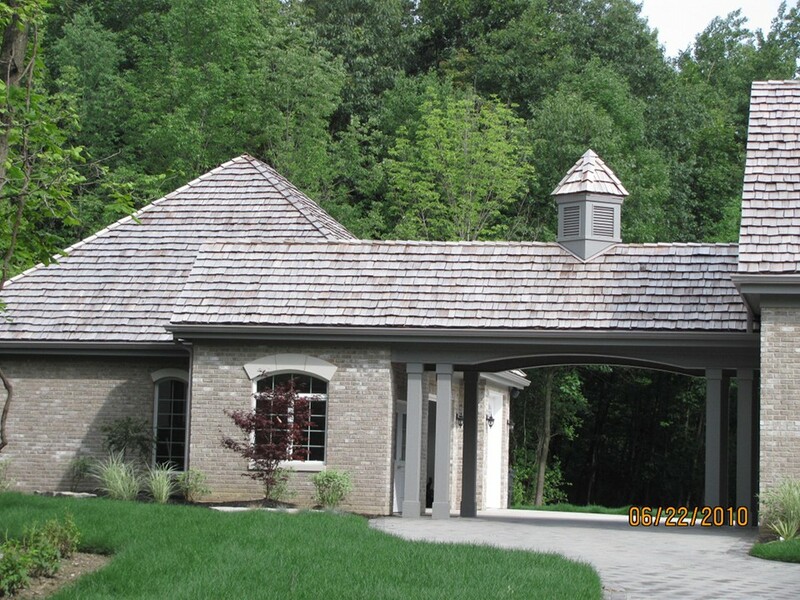 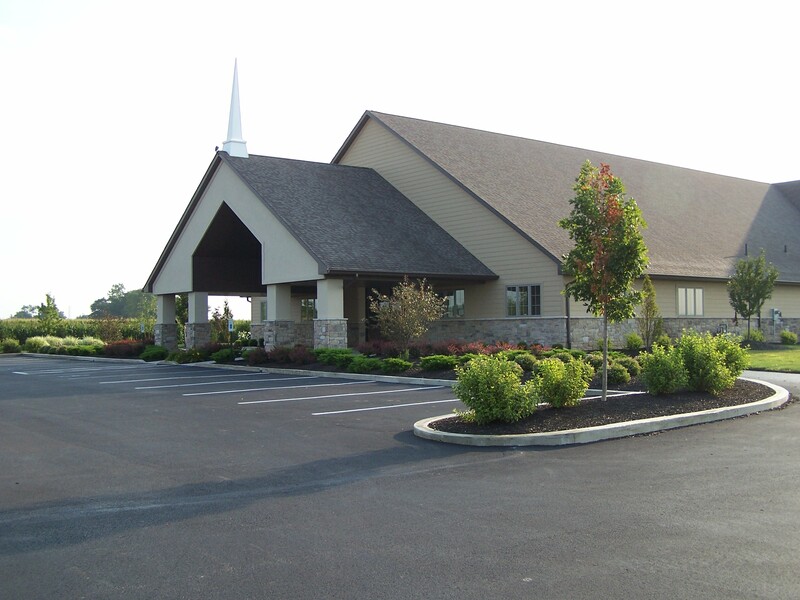 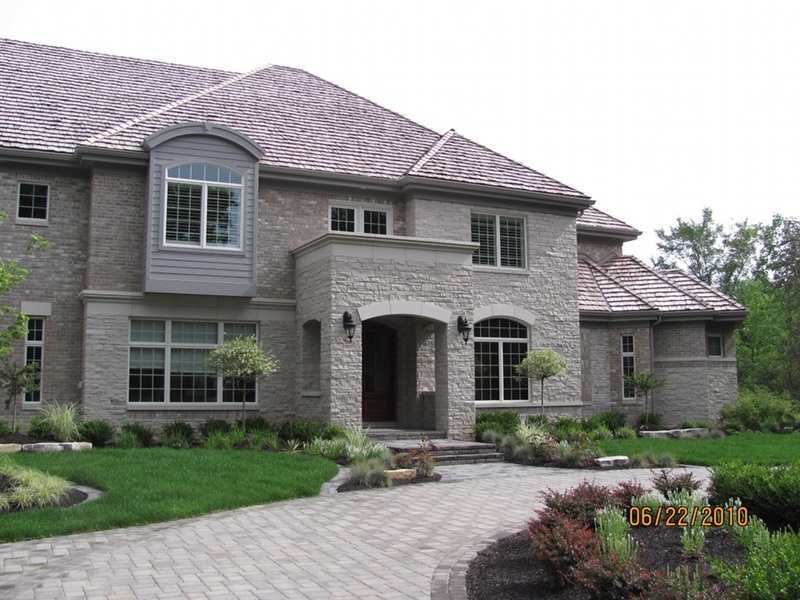 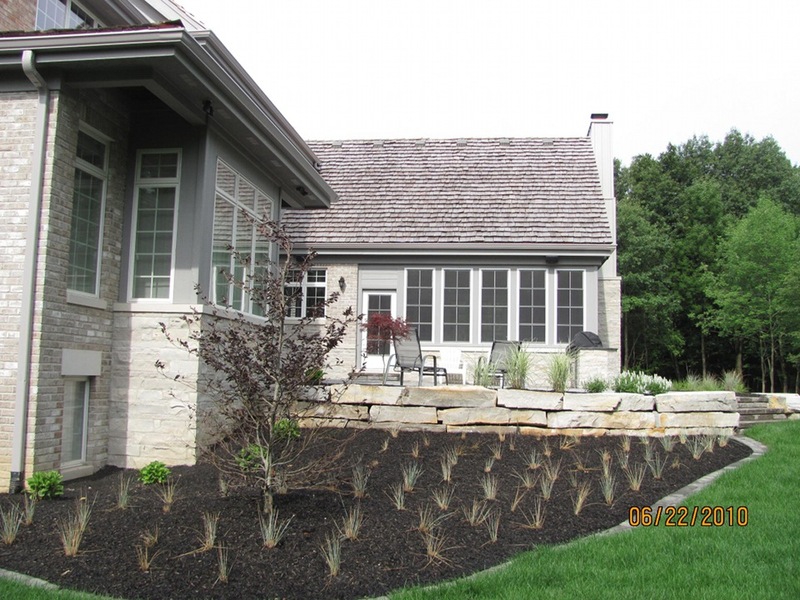 Contact us today to find out how we can enhance the curb appeal of your home or business. 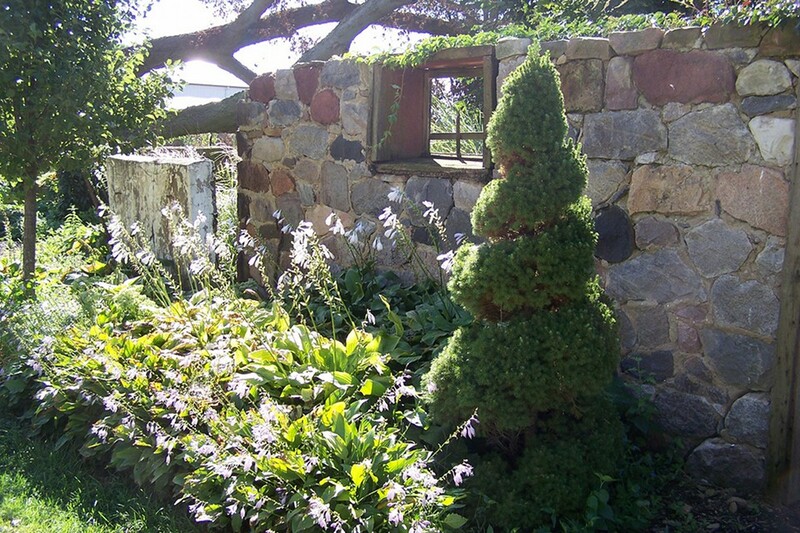 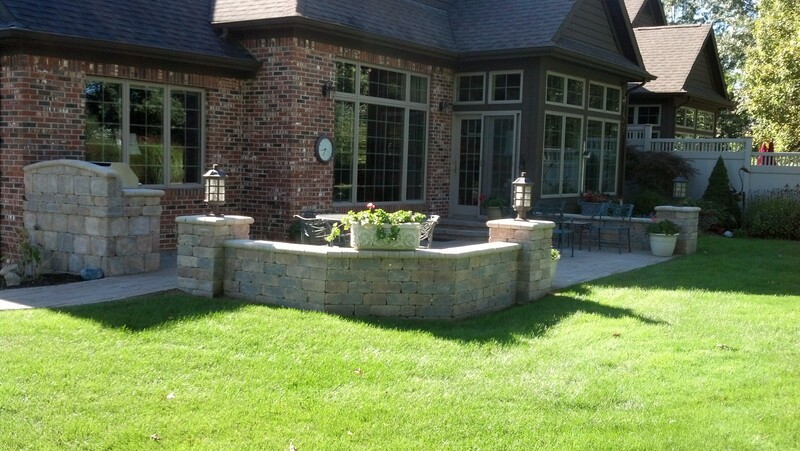 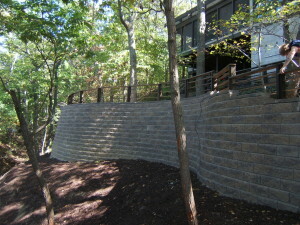 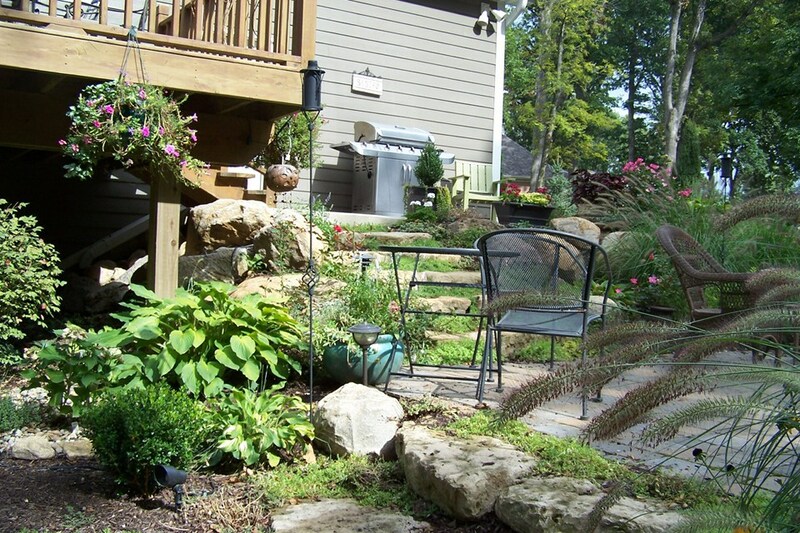 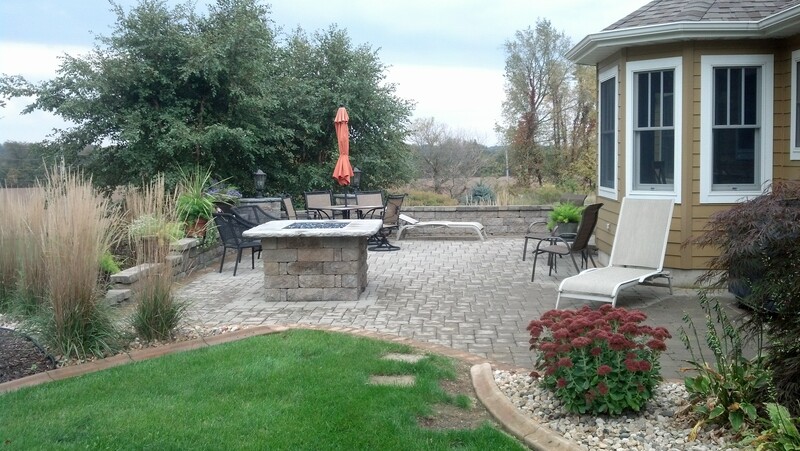 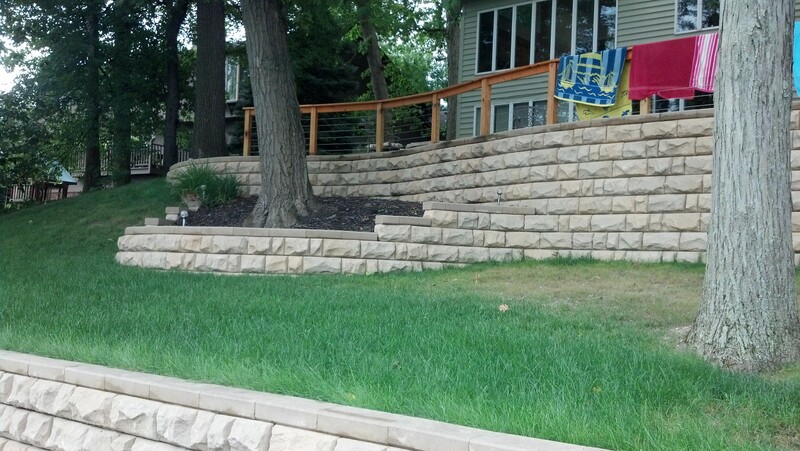 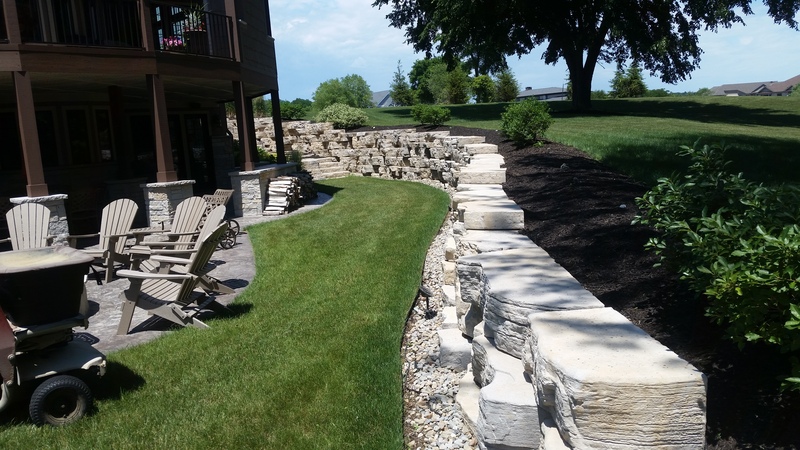 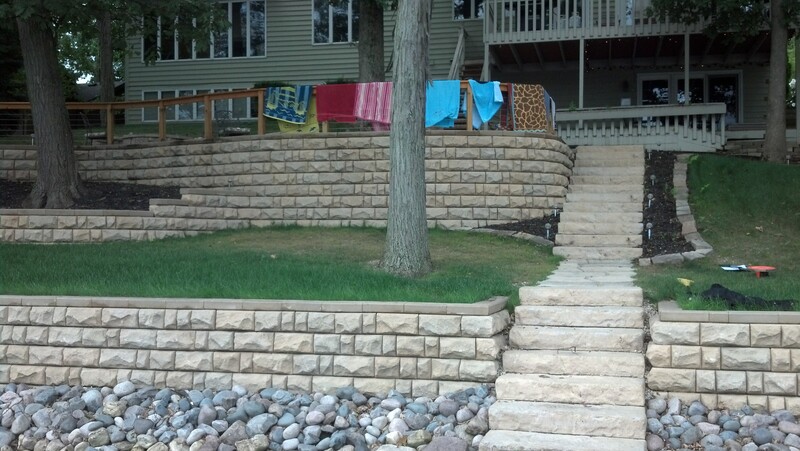 We provide retaining wall, patio installation, lawn irrigation services along with others. 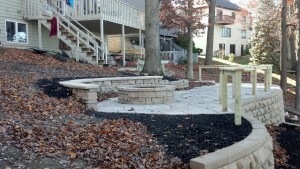 Please check out the pictures at the bottom of this page of our work. 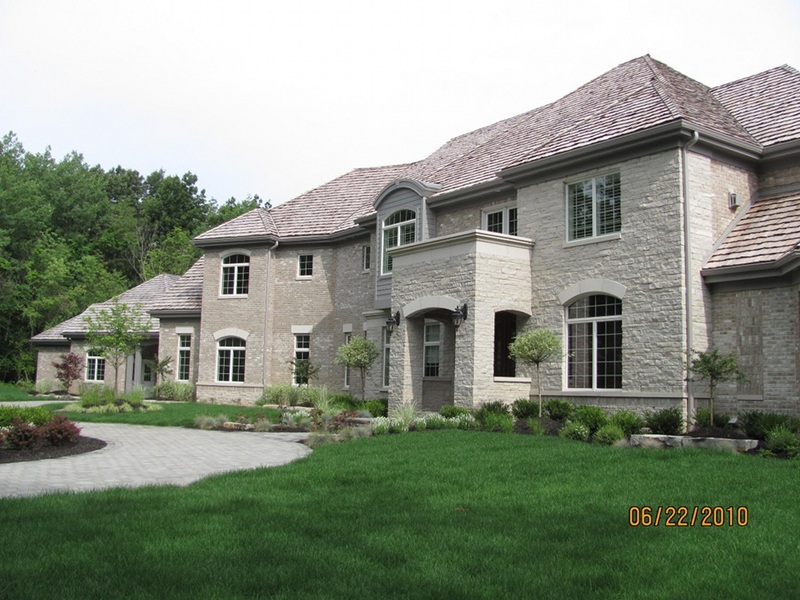 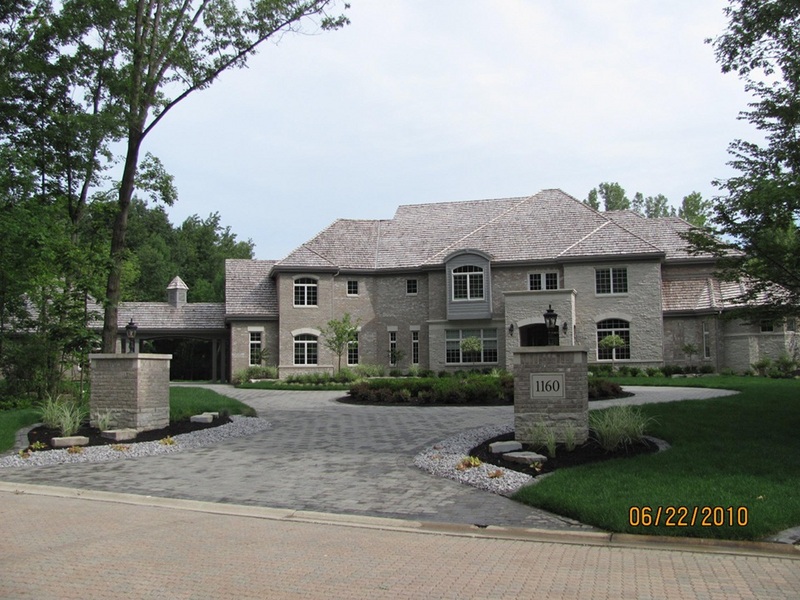 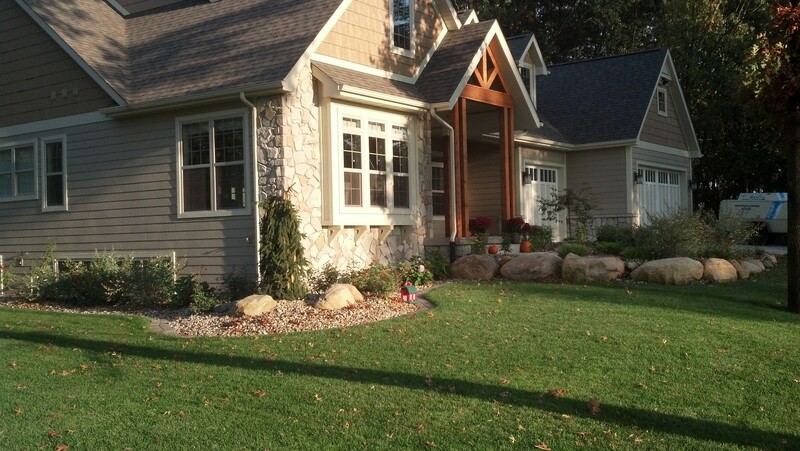 Lawn Installation – Finish grade services on your new construction or a total revamping of your existing lawn. 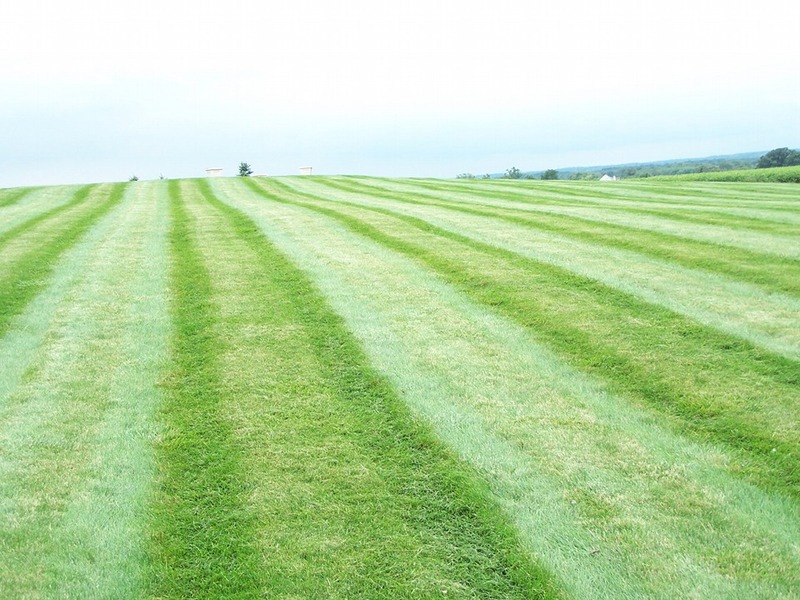 We use the best quality seed and methods to create the best results. Conventional seeding and sod installation available. 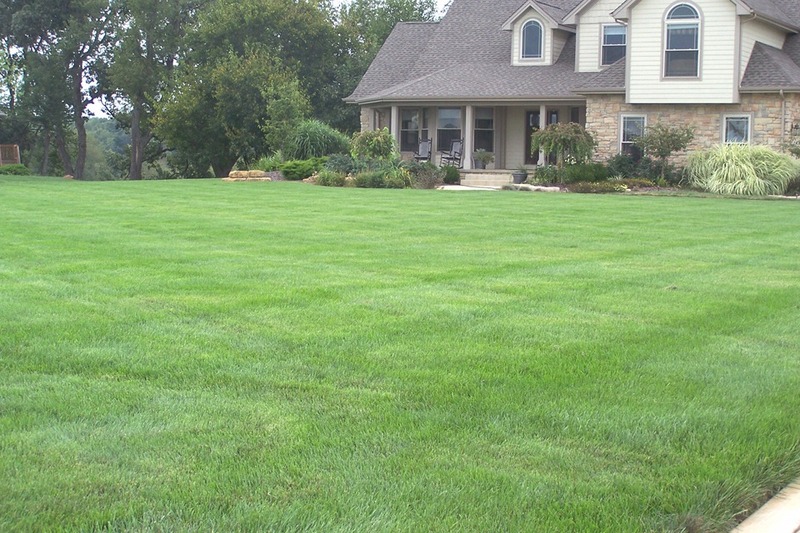 Let us help you have the lawn you always dreamed of. 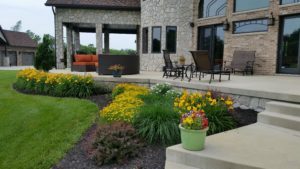 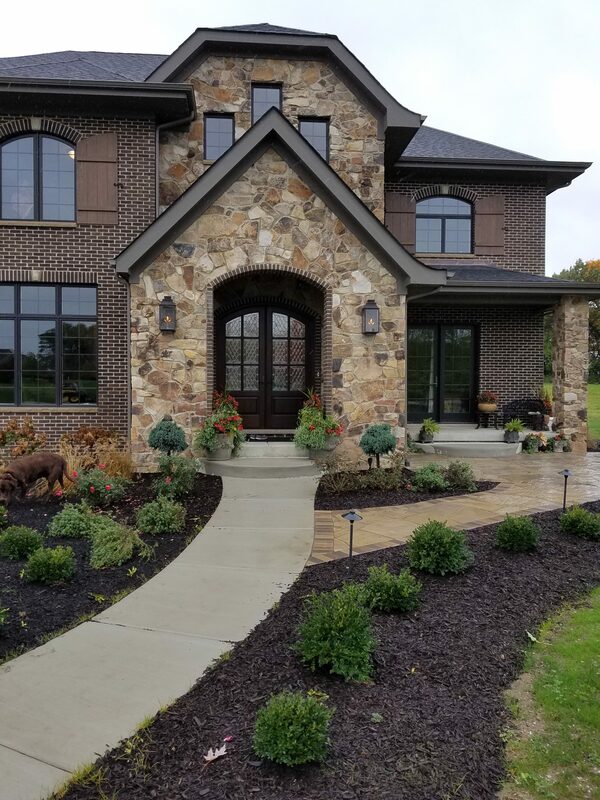 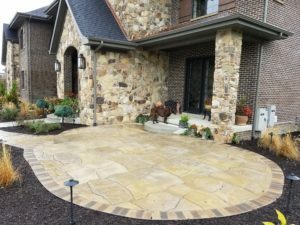 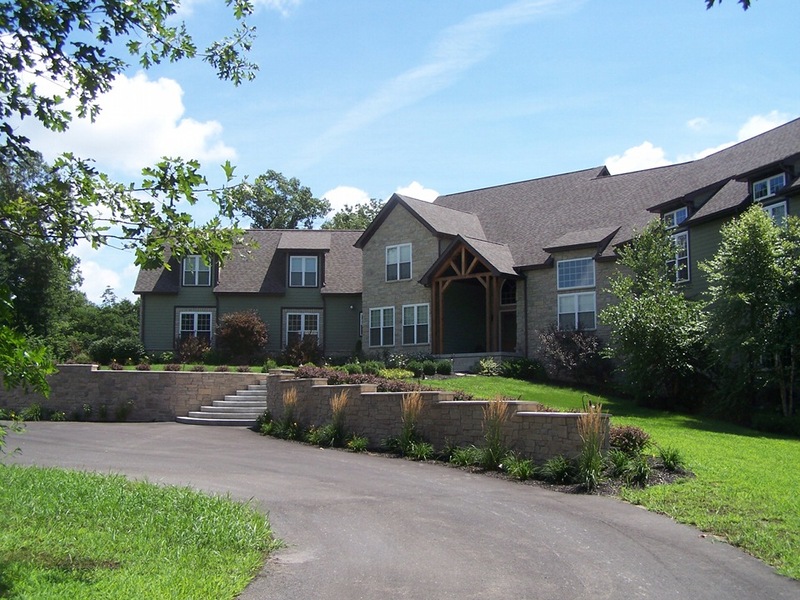 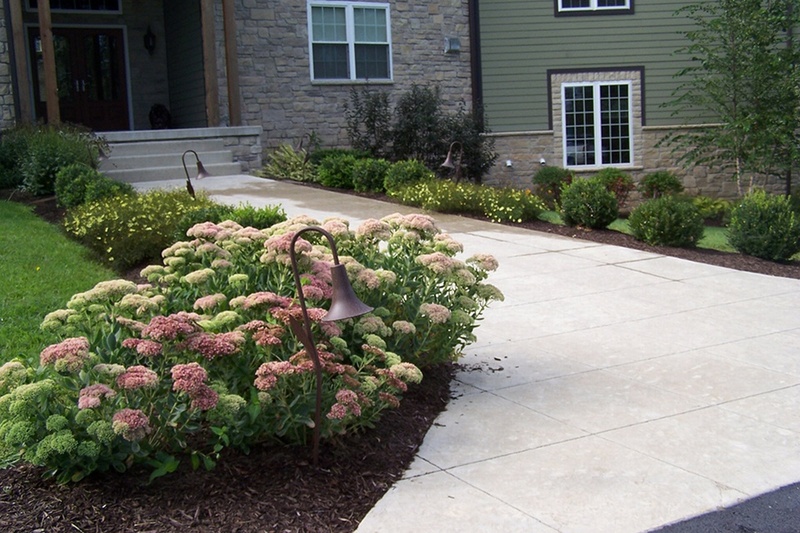 Landscape Design and Installation – We will work with you to design a landscape that fits your budget and meets your needs, while enhancing the value of your property and your curb appeal. 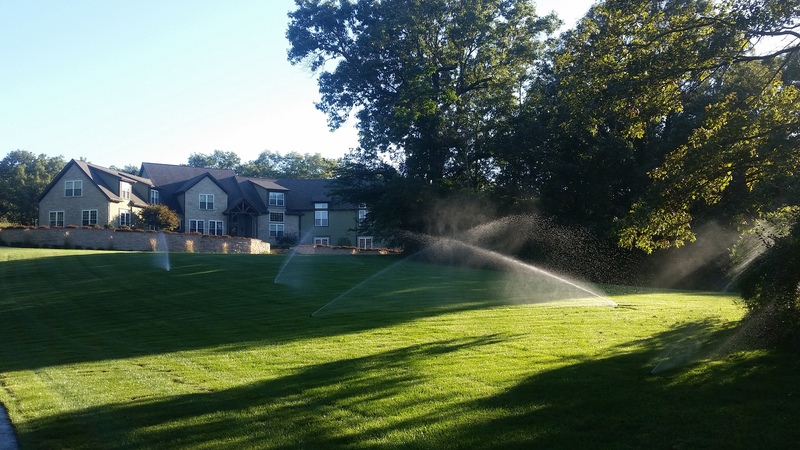 No job is too big. 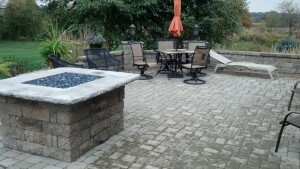 Hardscape Design and Installation – We can help you build an extension of your home right into your backyard. 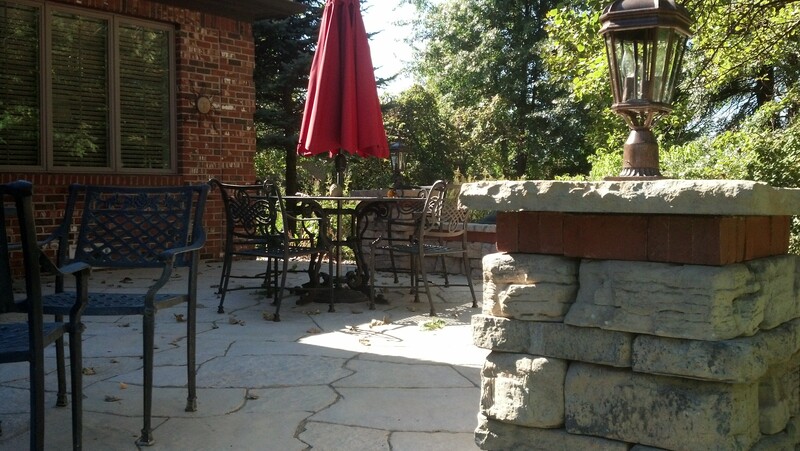 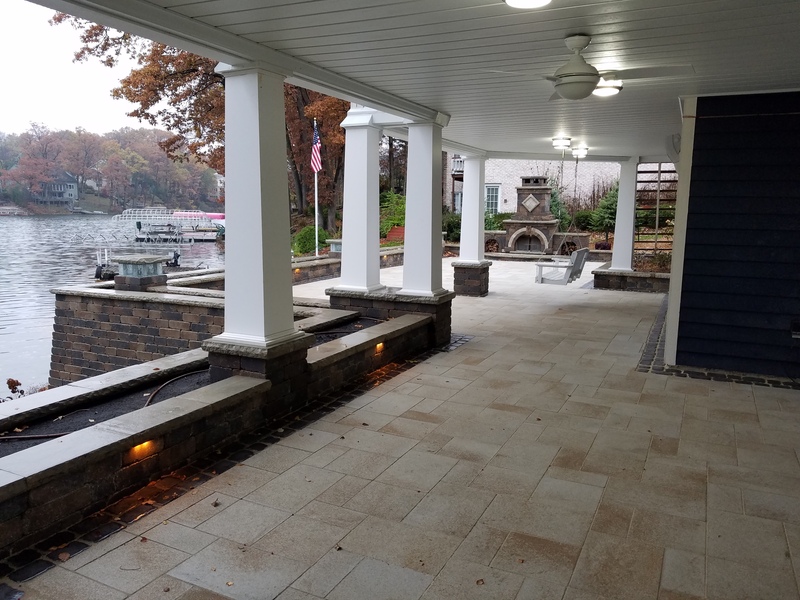 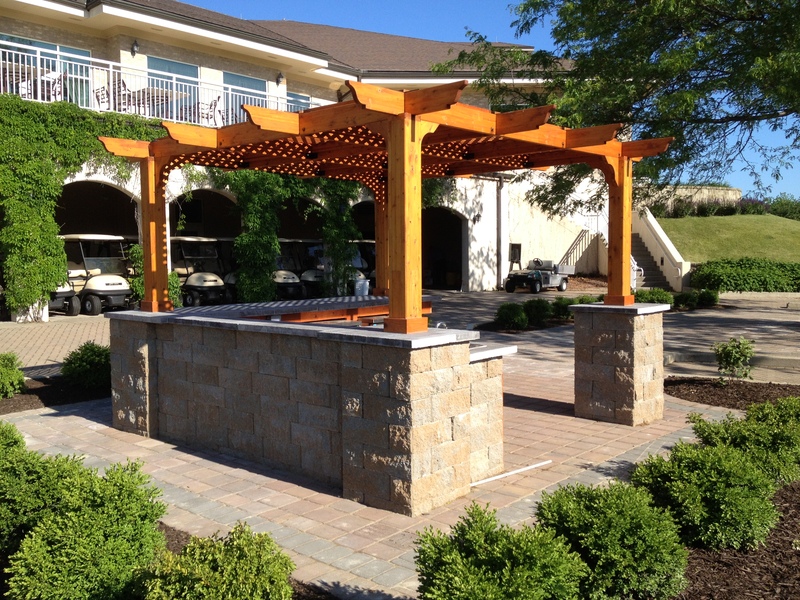 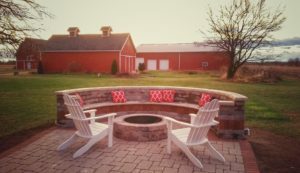 Patios, retaining walls, outdoor bars, water features and fireplaces are just some of the possibilities we can design and build to create a solid, beautiful focal point to enhance your outdoor space. 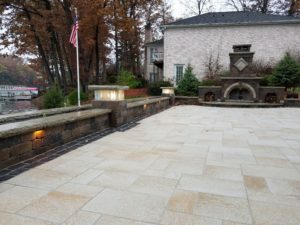 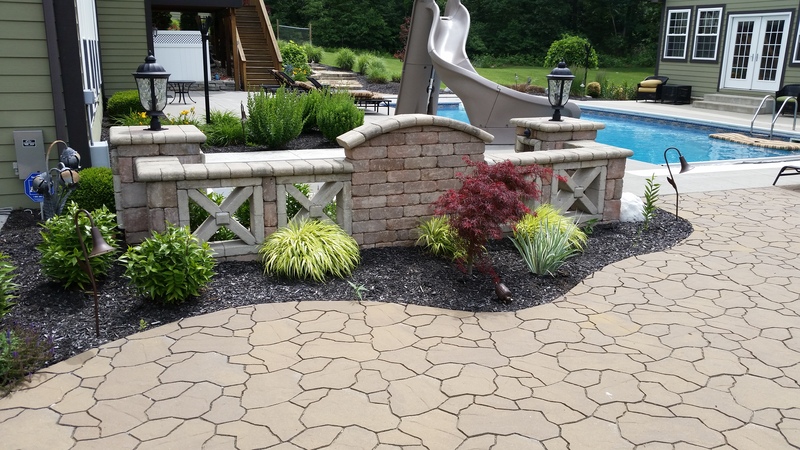 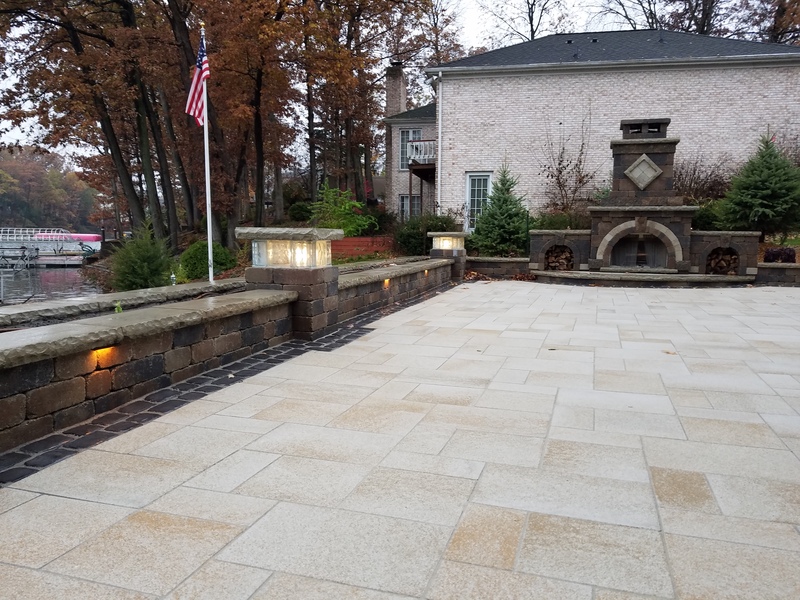 Using decorative concrete blocks, brick pavers, and natural stone, the possibilities are limitless to what we can create. 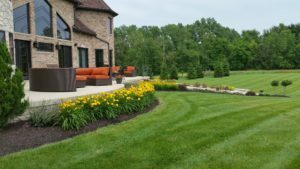 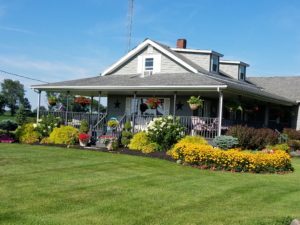 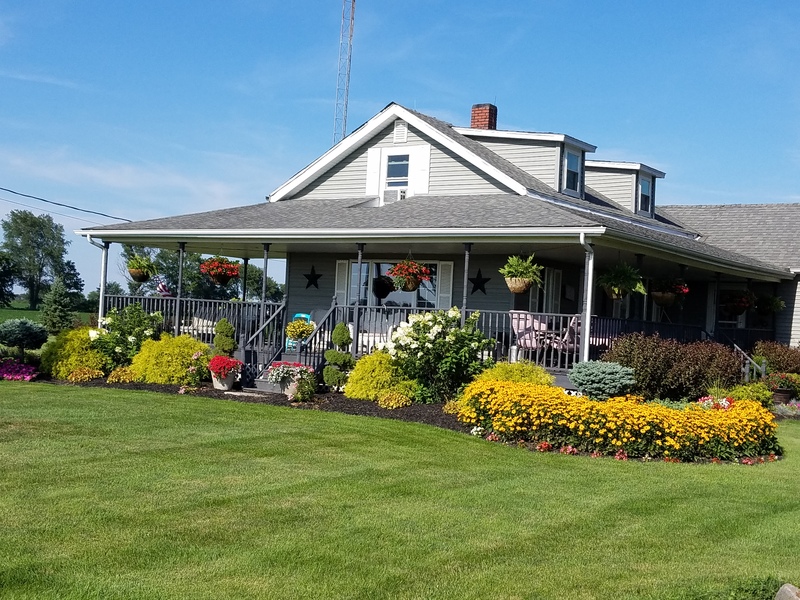 Lawn Irrigation – We can design and build a watering system for your lawn and landscape beds that will take the work and worry out of those hot summer days. 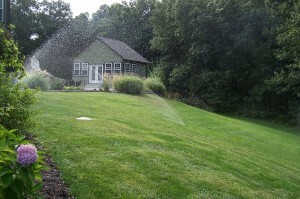 There is no better way to protect the investment you made in your landscaping than to make sure it is properly watered. 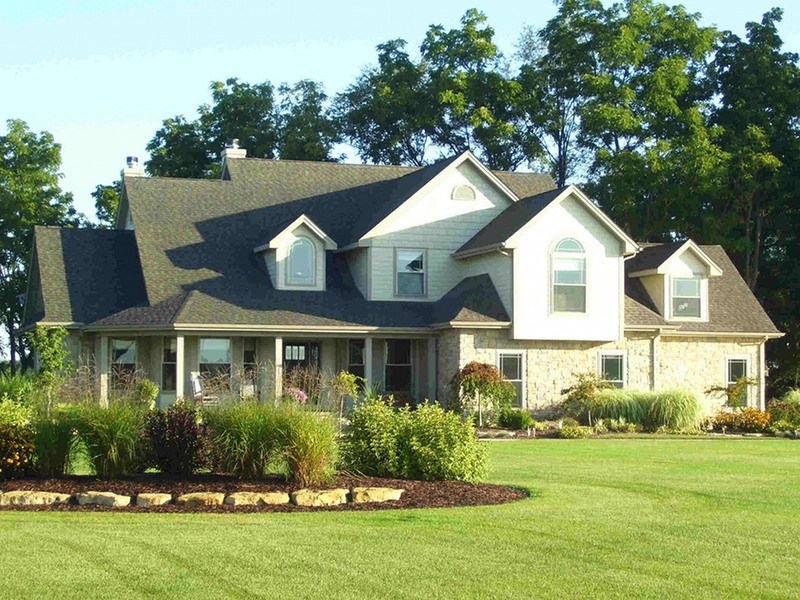 Maintenance Services – We are proud to offer a full line of maintenance services for properties of any size. 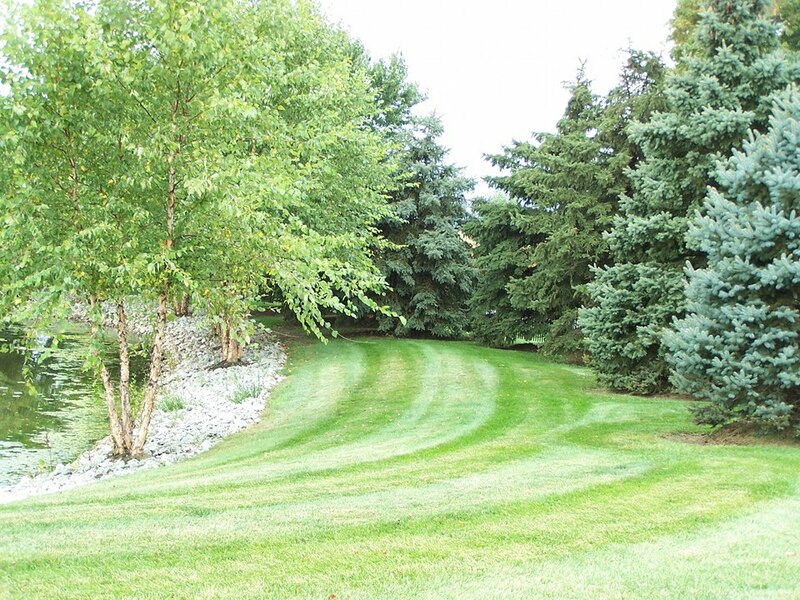 More than just mowing, we can handle all of your pruning, edging, mulching, weeding, and trimming needs. 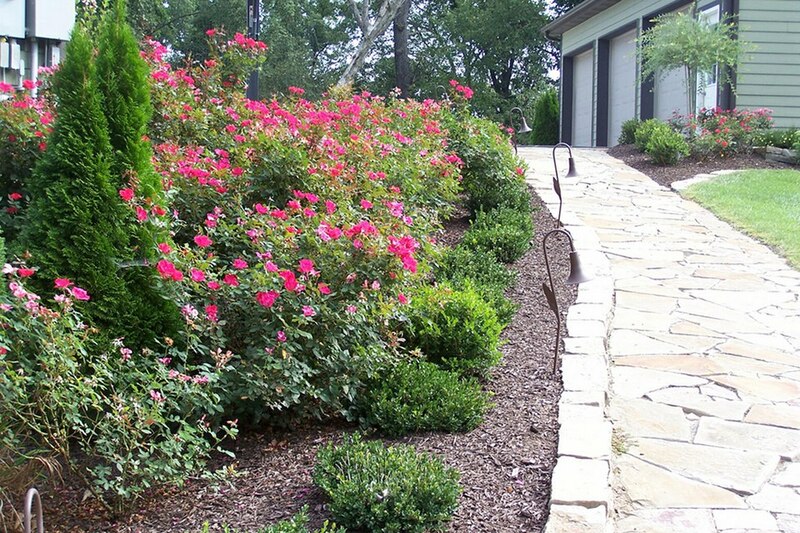 Call us today for a free estimate, and let us do the work so you don’t have to. 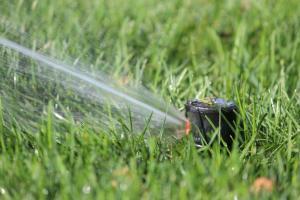 Fertilization and Weed Control – Keeping your lawn green and lush can be time consuming and expensive to do yourself. 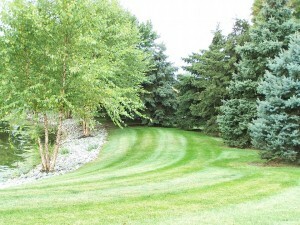 We are trained and certified to apply products that will give your lawn a healthy boost to keep it green and growing. 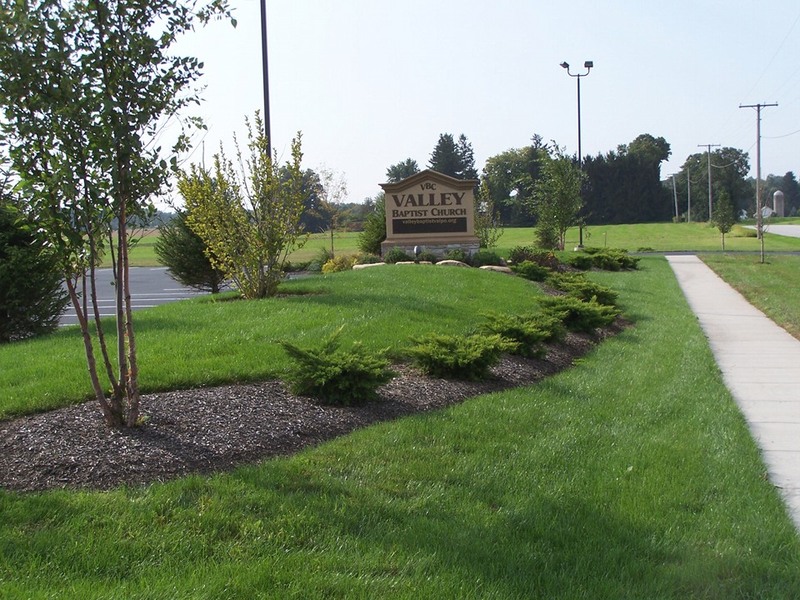 Snow and Ice Services – The winter can be a brutal time in our corner of the state. We can help you cope a little easier with our snow and ice control services. 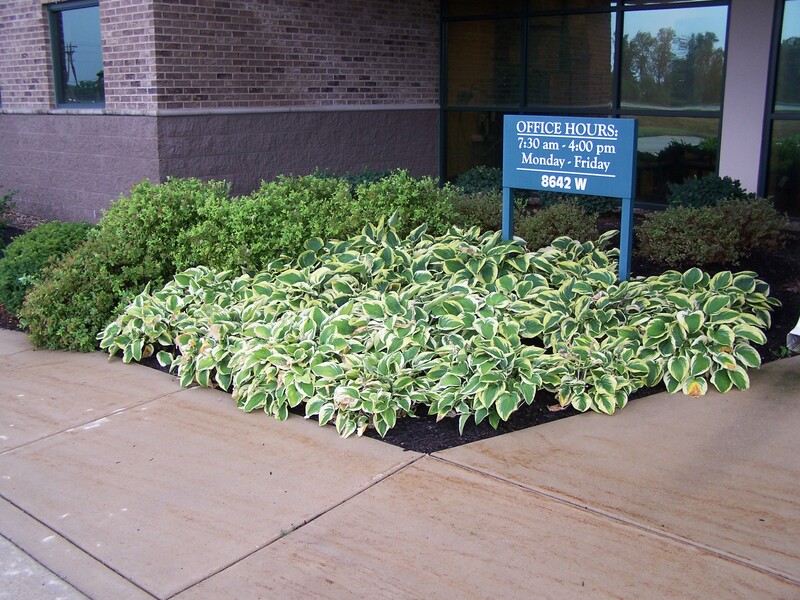 We offer plowing, snow removal, ice-melt, or salting applications, and sidewalk shoveling services. 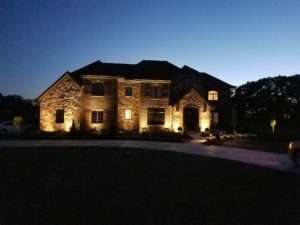 Landscape Lighting – Enhance the look of your home at night and add extra security with accented lighting. 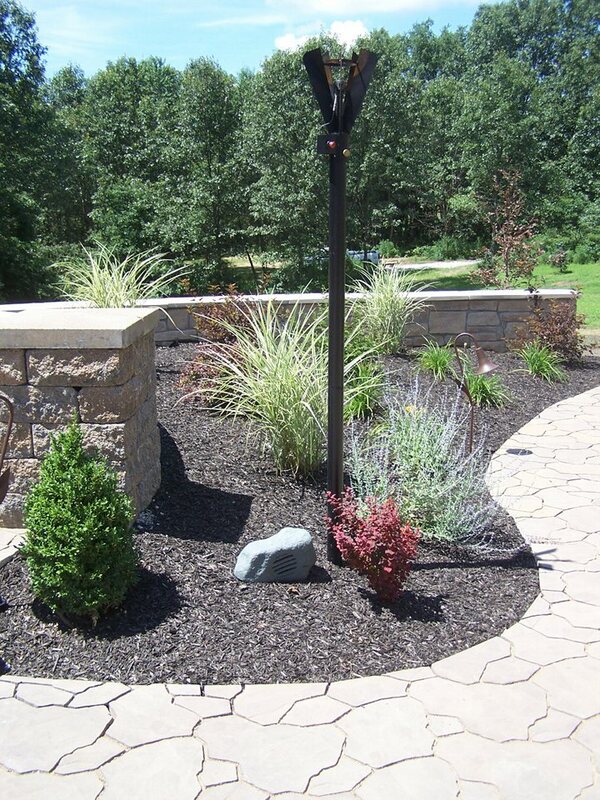 Path lights, spot lights, or lights on outdoor steps can dramatically improve the appearance of your home after dark. 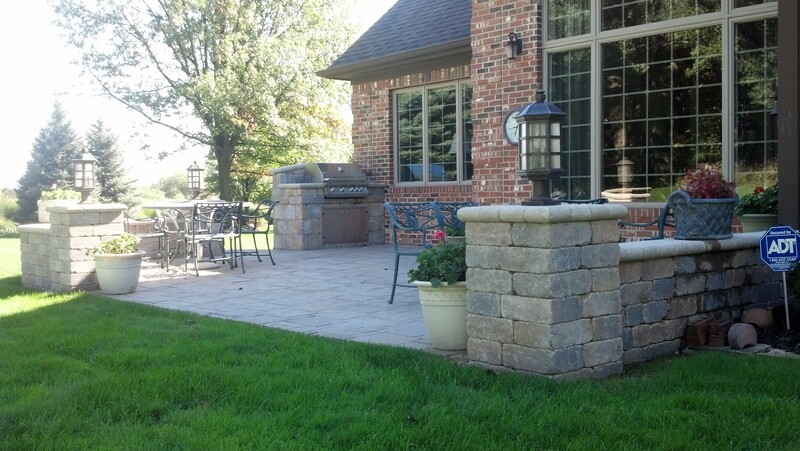 Quality Workmanship – We stand behind all of our work. 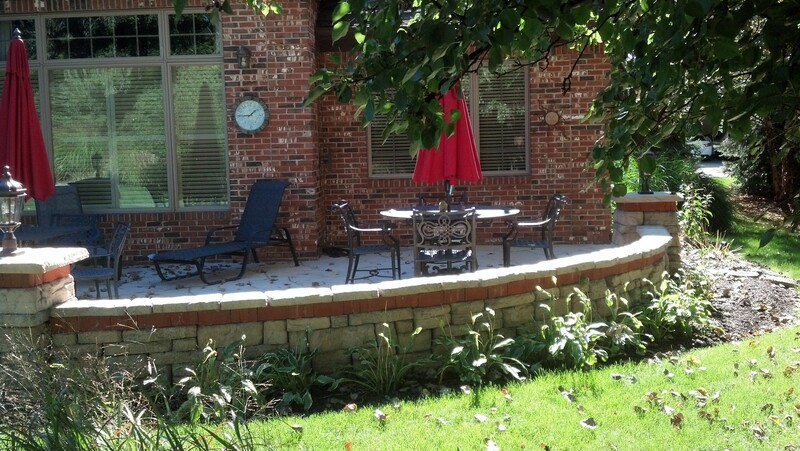 We won’t leave until you are satisfied, and we strive to do it right the first time. 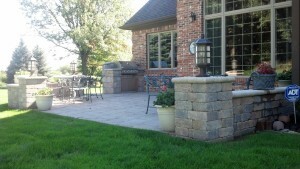 We enjoy what we do, and we want that to be reflected in our service. 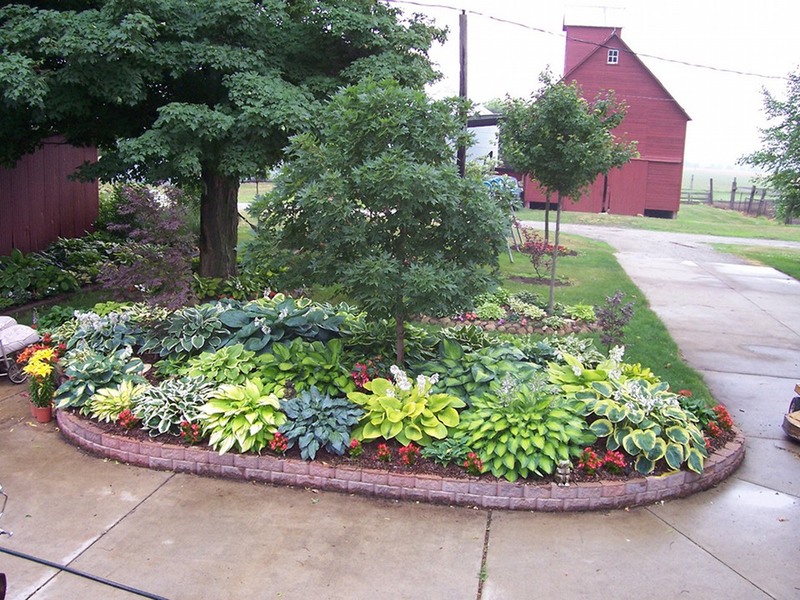 Mulch – Variety of colors. 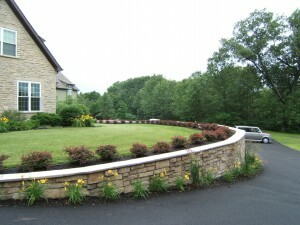 Will deliver right to your home. 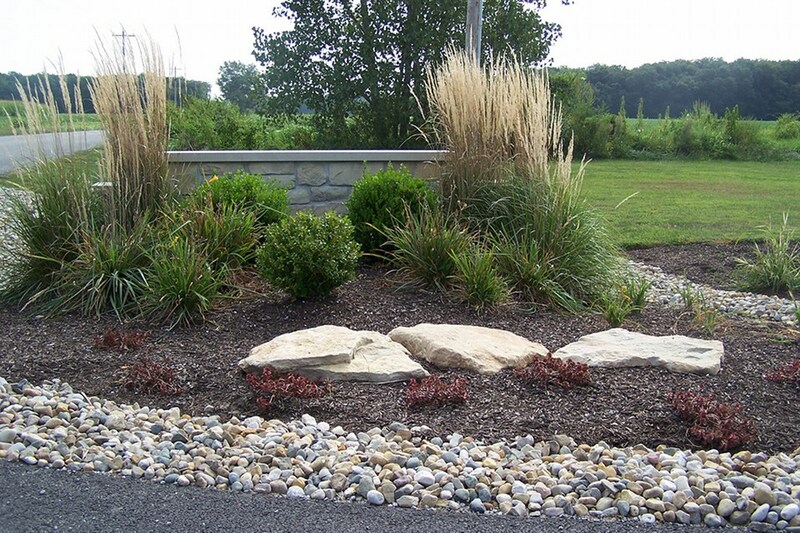 Stone and Sand – Delivery available.